• 2 Golden Cosmic Keys, Hollow Earth and Sirius, which allow you to attune to the wisdom of the whole cosmos. Each of the 50 Keys has a different note which you can listen to on the attached CD — as you listen to them, they will become activated in your being, assisting both you and the planet to rise in conscious­ness. Some of you will find certain Keys more relevant than others and will focus on those — this is perfectly all right. Others will want to tune into all of them to become cosmic masters — the more people that do this, the better. Please read this book and activate the Keys so that you, the whole world and this universe will benefit. The Keys are that important! 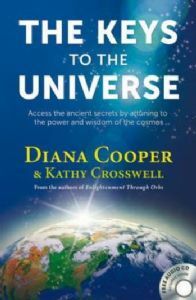 Diana Cooper is a lecturer and Principal of the Diana Cooper School of Angels, and the au­thor of many books, CDs and sets of cards including 2012 and Beyond and A New Light on Angels. 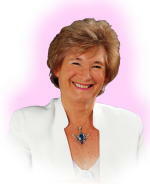 Kathy Crosswell is a medium and Reiki master who runs spiritual workshops.